When Our Work Succeeds, Washington Bikes. And That’s Our New Name! From our earliest days as an advocacy organization focused on working all around the state we have focused on one mission: To grow bicycling. Along the way we’ve changed our office location, we’ve changed our programs, and we’ve changed our name. 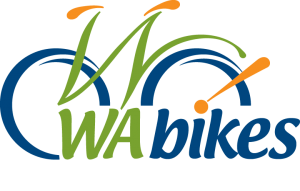 In the early days we were the Northwest Bicycle Federation (NOW Bike); the Bicycle Federation of Washington joined their work to ours and we became the Bicycle Alliance of Washington. No matter what changes, though, our work has always had one singular, inspiring vision: A future in which Washington Bikes. The board has looked around the nation at advocacy organizations like ours and we see a growing trend: They are choosing new names that embody the goal of the organization—the very reason it exists. Groups that were initially called a coalition or a federation or an alliance have been choosing new names—strong, active statements that inspire you with the vision of what happens when our work succeeds. As we announced at our 21st annual auction on Nov. 2, 2013, we believe a new name will both inspire people to get on board and contribute to our future growth and success. An action-oriented, goal-oriented name will invite in new partners, from individuals to businesses to entire communities, who appreciate the difference bicycling makes whether or not they ride themselves. Because Washington Bikes works to get kids rolling, Washington Bikes to school! Because Washington Bikes fights for better laws, Washington Bikes more safely! Because Washington Bikes works with local leaders, Washington Bikes everywhere in the state! Because Washington Bikes is making the maps and spreading the word, Washington Bikes for tourism and travel! Because Washington Bikes gets funding for bicycling connections, Washington Bikes for transportation! Because the Bicycle Alliance has worked every day since its founding to grow bicycling statewide, Washington Bikes. That’s the name you’ll know us by going forward, and it’s the vision that inspires us. Watch for our URL to change soon after a bit of site redesign. 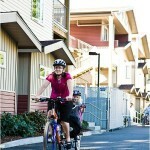 We’ll redirect from wabikes.org so you can find us at our new home on the Web. 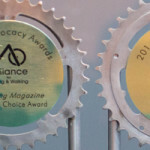 Nominate a Deserving Bike Advocate! So, this is the first time I heard about it. 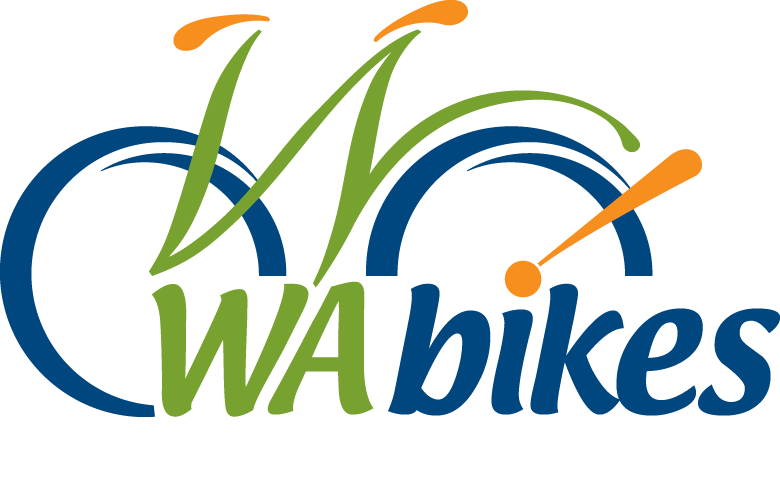 Are you the Bike Alliance with a new name? or are you a similar organization? We’re the Bicycle Alliance with a new name. Our logo shows both names to help people follow us through the transition. 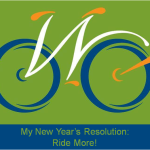 We’re proud of our long history of accomplishment, going back to when the NW Bicycle Federation (NOW Bike) and Bicycle Federation of Washington began as advocacy organizations for the whole state. Cool logos. Two more bike shirts to buy for Bike to Work(and everyplace else)Month in May of 2014! Glad you like the new name and the new look, Chris. Thanks for your support and for riding!